VANCOUVER , Aug. 7, 2018 /CNW/ - Golden Reign Resources Ltd. (GRR.V) ("Golden Reign"), Marlin Gold Mining Ltd. (MLN.V) ("Marlin") and Sailfish Royalty Corp. (FISH.V) ("Sailfish") are pleased to announce that Golden Reign and Marlin have entered into a definitive agreement (the "Arrangement Agreement"), unanimously approved by each of the boards of directors of Golden Reign and Marlin, pursuant to which Golden Reign and Marlin propose to complete the previously announced business combination whereby Golden Reign will acquire all of the issued and outstanding shares of Marlin (following completion of the Marlin Reorganization (as defined below) and satisfaction of all closing conditions of the business combination) by way of plan of arrangement (the "Transaction"). As a condition to closing the Transaction (the "Closing"), Sailfish has agreed to restructure its existing gold stream on San Albino, as further discussed below. Under the terms of the Arrangement Agreement, Golden Reign will acquire all of the outstanding Marlin common shares in exchange for 0.5138 of a Golden Reign common share (each whole common share, a "GRR Share") for each Marlin common share acquired (the "Consideration"). In addition, Marlin will distribute an aggregate of 18,148,654 GRR Shares currently held by Marlin to the Marlin Shareholders on the basis of 0.1022 GRR Shares for each Marlin common share, bringing the total GRR Shares to be received by Marlin shareholders to 0.6160 of a GRR Share for each Marlin common share outstanding at Closing. The Transaction will result in Marlin and certain of its subsidiaries, including Oro Gold de Mexico and Marlin Gold Trading, becoming wholly-owned subsidiaries of Golden Reign (the "Combined Company"). In addition to certain terms and conditions described in this news release, the Arrangement Agreement includes customary provisions, including covenants not to solicit other acquisition proposals and the right to match any superior proposals. Termination fees of C$1 million will be paid to Marlin or Golden Reign in certain circumstances should the Transaction not be completed. "By acquiring Marlin, post spin-out of certain loans and assets, shareholders of Golden Reign (to be renamed Mako Mining Corp.) will benefit from the producing La Trinidad Gold Mine in Mexico , over $6,000,000 in cash and no debt, and an unencumbered, fully permitted, high grade gold development asset in Northern Nicaragua. With the issuance of new shares at an exchange ratio of 0.5138, Golden Reign will be issuing 91.2 MM new shares in connection with this transaction, which will bring its shares issued and outstanding to 283.4 MM", stated Kevin Bullock , CEO of Golden Reign. He went on to say "by amending the current Gold Purchase Agreement with Sailfish, Golden Reign will benefit from building a fully permitted, unencumbered asset with security and provisions commensurate with a standard, third party NSR agreement." 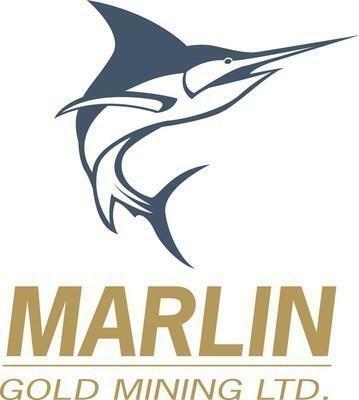 Akiba Leisman , Executive Chairman of Marlin and Chief Executive Officer of Sailfish stated: "Since Marlin and Sailfish's original involvement with Golden Reign in 2014, it was our belief that the San Albino Gold Deposit is the most attractive development asset in the Americas today. At Closing, Marlin's shareholders will own 45% of the Combined Company and will be able to participate in this opportunity for decades to come. Furthermore, the restructuring of the Gold Purchase Agreement will not only make the San Albino Gold Deposit even more robust, but in return, Sailfish will have a diversified suite of assets including additional royalties, cash and an exploration property in a world-class mining jurisdiction. Upon completion of the Transaction, Sailfish will be well-capitalized, have no funding obligations and intends to aggressively grow its royalty business". Under the terms of the Arrangement Agreement, as a condition to Closing, Marlin has agreed to undertake a corporate reorganization, pursuant to which it will (i) sell its Commonwealth silver and gold property in Cochise County, Arizona , to Wexford Capital LP or funds controlled by it ("Wexford"), Marlin's controlling shareholder, which will extinguish all of Marlin's loans and any other debts and liabilities owing to Wexford; (ii) assign to Sailfish its 1% net smelter return royalty on the Parral 2 claims on the La Cigarra project owned by Kootenay Silver Inc. (the "La Cigarra Royalty") and its 1.5% net smelter return royalty on the majority of the concessions at the El Compas project operated by Endeavour Silver Corp. (the "El Compas Royalty"), and grant an option to Sailfish to purchase its Gavilanes property in Mexico , all as partial consideration for Sailfish agreeing to enter into the amendment to the existing gold stream on San Albino; (iii) wind-up certain of its non-material subsidiaries that will not be acquired by Golden Reign under the Transaction; and (iv) arrange for the sale of 17,155,191 common shares of Golden Reign, currently held by Marlin, at a price of $0.1539 on a private placement basis, pursuant to which Wexford will purchase at least 85% of such Golden Reign common shares and an aggregate of at least 993,464 of such Golden Reign common shares will be purchased by current stock option holders of Marlin, consisting of Akiba Leisman , Marlin's Executive Chairman, and Cesar Gonzalez , Marlin's VP Corporate Development. The full amount of the gross proceeds from such private placement of $2,640,183.89 will remain in Marlin on the Closing of the Transaction. These pre-Closing transactions being completed by Marlin are collectively referred to herein as the "Marlin Reorganization". (e) to the substantial form of and the terms and conditions of certain assignment, option and royalty agreements, that will be entered into as partial consideration to be paid to Sailfish in consideration for entering into the Amended and Restated Gold Purchase Agreement. Such agreements provide for Marlin's assignment to Sailfish, for no additional consideration, of the El Compas Royalty and La Cigarra Royalty in Mexico . Such agreements also provide for Marlin's agreement to transfer its Gavilanes property in Mexico , to a designee of Sailfish. Upon Closing, senior management of the Combined Company will consist of Kevin Bullock as Chief Executive Officer, Jesse Muñoz as Chief Operating Officer and Scott Kelly as Interim Chief Financial Officer. The board of directors of the Combined Company is expected to be comprised of seven members, consisting initially of three directors as determined by Golden Reign (which will include Kevin Bullock ) and three directors as determined by Marlin, which shall include at least one independent director. Golden Reign and Marlin will jointly determine one additional independent board member who will serve as non-executive chairman. Following Closing, it is expected that the name of the parent company will be changed from Golden Reign to "Mako Mining Corp." or such other name as may be mutually determined by Golden Reign and Marlin. The special committee comprised of two independent Marlin directors (the "Marlin Special Committee") received an oral fairness opinion (to be supplemented by a written report) from Red Cloud Klondike Strike Inc. stating that in its opinion, and based upon and subject to certain assumptions, limitations and qualifications, the Consideration to be received by Marlin shareholders is fair, from a financial point of view, to Marlin shareholders. The special committee comprised of three independent Golden Reign directors (the "Golden Reign Special Committee") received a fairness opinion from PI Financial Corp. stating that in its opinion, and based upon and subject to the assumptions, limitations and qualifications set forth therein, the Consideration is fair, from a financial point of view, to Golden Reign shareholders. The special committee comprised of three independent Sailfish directors (the "Sailfish Special Committee") received a fairness opinion from Noble Capital Markets stating that in its opinion, and based upon and subject to the assumptions, limitations and qualifications set forth therein, the restructuring of the gold stream on San Albino as contemplated by the Master Agreement is fair, from a financial point of view, to Sailfish shareholders. Marlin's board of directors has determined that the Transaction is in the best interests of Marlin and its shareholders, having taken into account advice from its financial advisor and the recommendations of the Marlin Special Committee, and has unanimously approved the Transaction and the entering into of the Arrangement Agreement and recommends that Marlin's shareholders vote in favour of the Transaction. The directors, senior officers and certain principal shareholders of Marlin, who together control approximately 85.8% of the outstanding Marlin common shares, have signed voting support agreements and confirmed their intention to vote their Marlin common shares in favour of the Transaction. Golden Reign's Board of Directors has determined that the Transaction is in the best interest of Golden Reign and its shareholders, having taken into account advice from its financial advisor and the recommendations of the Golden Reign Special Committee, and has unanimously approved the Transaction and the entering into of the Arrangement Agreement and recommends that Golden Reign shareholders vote in favour of the issuance of the GRR Shares in connection with the Transaction, including to Wexford who will become a new "Control Person" of the Combined Company within the meaning of the TSX Venture Exchange policies on closing of the Transaction. The directors and senior officers of Golden Reign, who control approximately 14.9% of the outstanding Golden Reign common shares, have signed voting support agreements and confirmed their intention to vote their Golden Reign common shares in favour of the issuance of the GRR Shares in connection with the Transaction. Sailfish's board of directors has determined that the restructuring of the gold stream on San Albino as contemplated by the Master Agreement is in the best interests of Sailfish and its shareholders, having taken into account advice from its financial advisor and the recommendations of the Sailfish Special Committee, and has unanimously approved the gold stream restructuring and the entering into of the Master Agreement and recommends that Sailfish's shareholders vote in favour of that transaction. The Transaction will be carried out by way of a court-approved plan of arrangement under the Business Corporations Act ( British Columbia ) and will require the approval of: (i) at least 66 2/3% of the votes cast by the holders of Marlin common shares; and (ii) a simple majority of the votes cast by holders of Marlin common shares after excluding any votes of certain persons required to be excluded under Multilateral Instrument 61-101 – Protection of Minority Security Holders in Special Transactions ("MI 61-101"), at a special meeting of shareholders currently expected to take place in the fall of 2018. In addition to obtaining the shareholder and court approvals, and the parties entering into the documents contemplated by the Master Agreement and the Amended and Restated Gold Purchase Agreement, the Transaction is subject to closing conditions customary in transactions of this nature. Marlin and Golden Reign currently anticipate that the Transaction will be completed in October 2018 . The effect of Marlin shareholders voting for the resolution to approve the Transaction and the Transaction becoming effective will be the cancellation of the common shares of Marlin from trading on the TSX Venture Exchange following Closing. None of the GRR Shares to be issued pursuant to the Transaction have been or will be registered under the United States Securities Act of 1933, as amended (the "U.S. Securities Act"), or any state securities laws, and any GRR Shares issued pursuant to the Transaction are anticipated to be issued in reliance upon available exemptions from such registration requirements pursuant to Section 3(a)(10) of the U.S. Securities Act and applicable exemptions under state securities laws. This press release does not constitute an offer to sell, or the solicitation of an offer to buy, any securities. As previously announced, Golden Reign and Marlin entered into a definitive bridge loan agreement for a bridge loan from Marlin to Golden Reign of C$4,000,000 , having a term of one year and bearing interest at 8% per annum (the "Bridge Loan"). On Closing, the Bridge Loan will become intercompany debt and terminated. In the event that (a) Golden Reign shareholders vote not to approve the Transaction, or (b) or the Arrangement Agreement is terminated in accordance with its terms, then all accrued interest under the Bridge Loan will become immediately due and the maturity date of the Bridge Loan will accelerate to the earlier of the original maturity date or the date that is four months from the negative shareholder vote or termination of the Arrangement Agreement. Forward-Looking Statements: Some of the statements contained herein may be considered "forward-looking information" within the meaning of applicable securities laws which may include, but is not limited to, statements with respect to management's assessment of the anticipated benefits to Marlin, Golden Reign and Sailfish shareholders of the Transaction and matters contemplated by the Master Agreement and the Amended and Restated Gold Purchase Agreement, anticipated shareholder meeting dates, timing for Closing and the delisting of the Marlin Shares from the TSX Venture Exchange. Often, but not always, forward-looking statements can be identified by the use of words and phrases such as "plans," "expects," "is expected," "budget," "scheduled," "estimates," "forecasts," "intends," "anticipates," or "believes" or variations (including negative variations) of such words and phrases, or state that certain actions, events or results "may," "could," "would," "might" or "will" be taken, occur or be achieved. Forward-looking information is based on certain expectations and assumption that are considered reasonable at the time, however undue reliance should not be placed on the forward looking information as the companies can give no assurance that they will provide to be correct. As forward-looking statements address anticipated future events and conditions, such forward-looking information is subject to a variety of risks and uncertainties which could cause actual events or results to differ materially from those reflected in the forward-looking information, including, without limitation, the risk that the Marlin Reorganization is not completed as contemplated; that the requisite court, regulatory and/or shareholder approval is not obtained; uncertainties associated with negotiations; misjudgements in the course of preparing forward-looking information; that the Transaction may not close when planned or at all or on the terms and conditions set forth in the Arrangement Agreement; the benefits expected from the Transaction not being realized; risks related to the integration of the acquisition of Marlin and its business; general business, economic, competitive, political and social uncertainties; legal challenges to permits or permitting applications; the actual results of current and future exploration and production activities; the actual results of reclamation activities; conclusions of economic evaluations; meeting various expected cost estimates; changes in project parametres and/or economic assessments as plans continue to be refined; future prices of metals; possible variations of mineral grade or recovery rates; the risk that actual costs may exceed estimated costs; failure of plant, equipment or processes to operate as anticipated; accidents, labour disputes and other risks of the mining industry; political instability, that the repayment of the Bridge Loan is accelerated, that any party is unable to satisfy all closing conditions to completion of the Transaction (including extinguishing or amending the existing gold stream agreement with Sailfish), that any anticipated reconstitution of the board of directors and management of the Combined Company is not as anticipated, and other risks and uncertainties including those discussed in each company's disclosure documents which can be found under each company's profile at www.sedar.com.